We started talking about perfectionism–and how to bypass it–in last week’s post. If you haven’t already read it, it takes a deep dive into Tip #1 – Reframe Writing as Playing. You’ll also hear a bit about how perfectionism has held me back from some types of writing (cough**picture books**cough) for waaaaaay too long. Go take a look, then return here for tips 2 through 4! Don’t feel like writing the next scene? Feel free to skip around in the narrative. Not sure where your story is going? Try writing about your writing — journaling about the writing process. Or simply select an intriguing entry from your idea log and start freewriting! It’s important to build some type of relaxing break into your schedule shortly after you finish your anti-perfectionism writing session. This serves two purposes. First, you need to reward yourself. But I’m a grown up, you’re thinking. I don’t need a gold star! Actually, you do need a gold star. Your “rational self” may be a grown-up, but you’re trying to coax out a more childlike part of your psyche when you write–and that’s the part of your brain that responds well to positive reinforcement. Reward yourself now, and your muse will be more likely to come out and play next time. The second reason for taking a break? By doing so, you prime your mind for inspiration. When you’re relaxed, perhaps a bit zoned out, your subconscious continues playing with ideas. Invite those “ah-ha!” moments by creating space for relaxation and mind-wandering in your schedule. Did you find this post helpful? 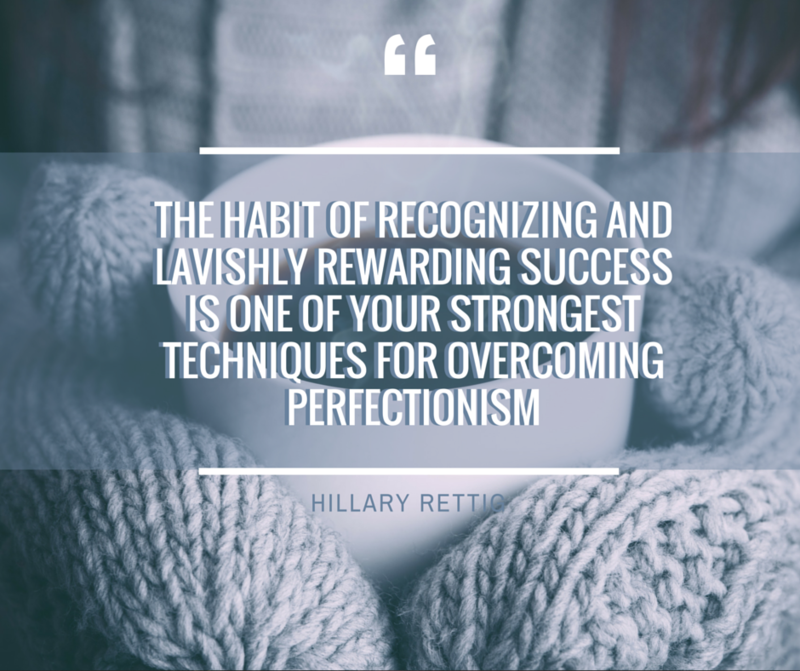 Click here to download your FREE PDF of tips for sidestepping perfectionism. Learn to give perfectionism the slip in YOUR writing life–and get rolling on your work-in-progress! Hey, you used to write wonderful, but the last few posts have been kinda boring?I miss your super writings. Past several posts are just a little bit out of track! come on! to download your free tips sheet.